Liverpool grew from fishing village in 1207 to Second City of Empire by 1900 and one of the most important ports in the world. The merchants used the fabulous wealth generated through the Port to create the most beautiful city outside London with many Grade I buildings of architectural importance. 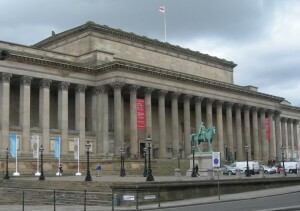 Visit Royal Albert Dock, Pier Head, Liverpool’s two cathedrals, Liverpool Town Hall, St George’s Hall.